The Annual General Meeting of ADDults with ADHD (NSW) Inc is scheduled for 1:00pm 3 December 2016 in the St Barnabas Centre, 57-61 Mountain Street, Ultimo near Broadway. Current financial members are invited and eligible to vote at the meeting. 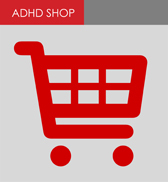 ADDults with ADHD (NSW) Inc is a not-for-profit, volunteer-run organisation established in 1995 to address the needs of adults with ADHD and related conditions, and their families. We are a registered charity with Deductible Gift Recipient status. As far as we are aware ADDult is the only organisation specifically supporting adults with ADHD in Australia. Our membership includes professionals such as psychiatrists, psychologists, counsellors, educators and researchers as well as lay people interested in or impacted by ADHD. ADDults with ADHD is committed to reducing the stigma associated with ADHD and dispelling the myths and misinformation that has been prominent in the media and in the community at large for many years. We are on the look out for opportunities to provide education about, and to raise awareness of, adult ADHD in the media, government and health professionals based on research and clinical best practice. Download the brochure and share it around.